Robertson's was founded by Allan and Isla Robertson in 1961 (see History, below). 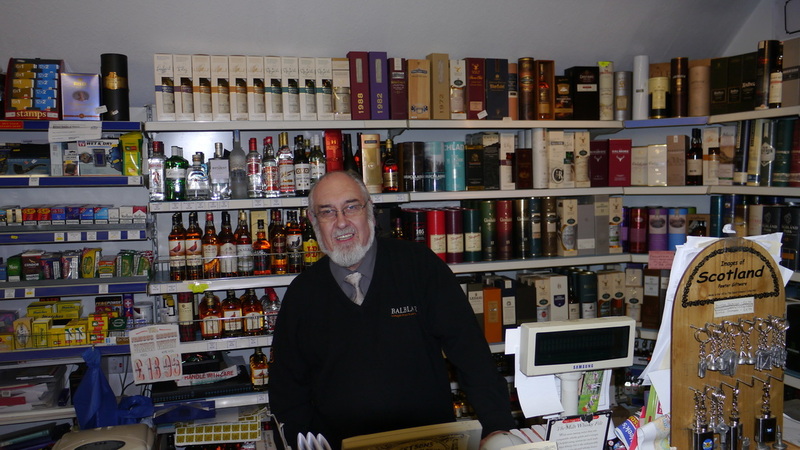 The shop was sold to Ewan McIlwraith, who now runs the shop. 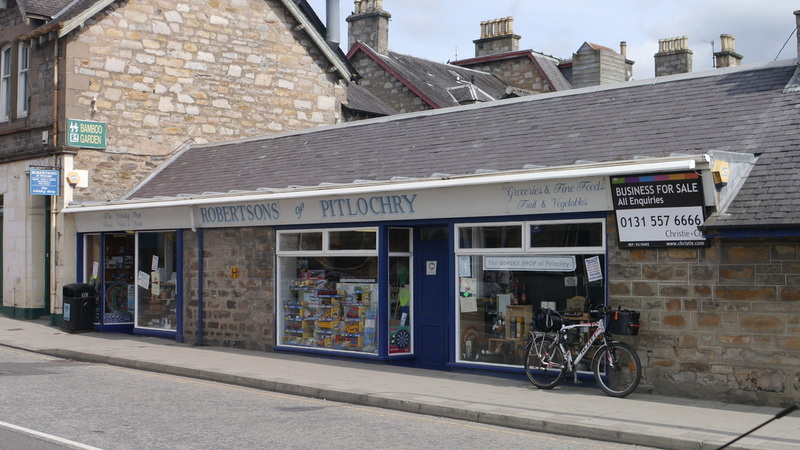 "More Malt for Your Money" was the shop's motto, and Robertsons has a comprehensive stock of malt (and blended) whisky, selling at very good prices from a single story building on the main road through Pitlochry. The shop also sells beer and wine, groceries and toys! 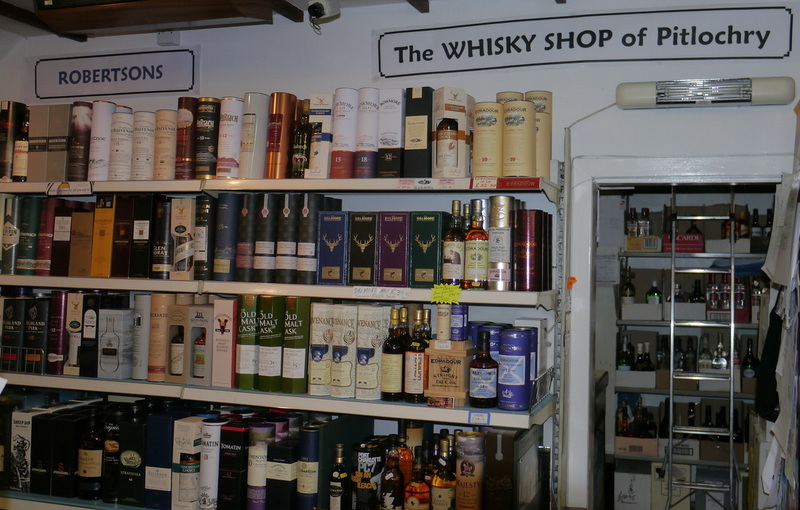 Malt Whisky (including Speyside Drumguish, Speyburn Bradan Orach, Loch Lomond) from only £15.00!! 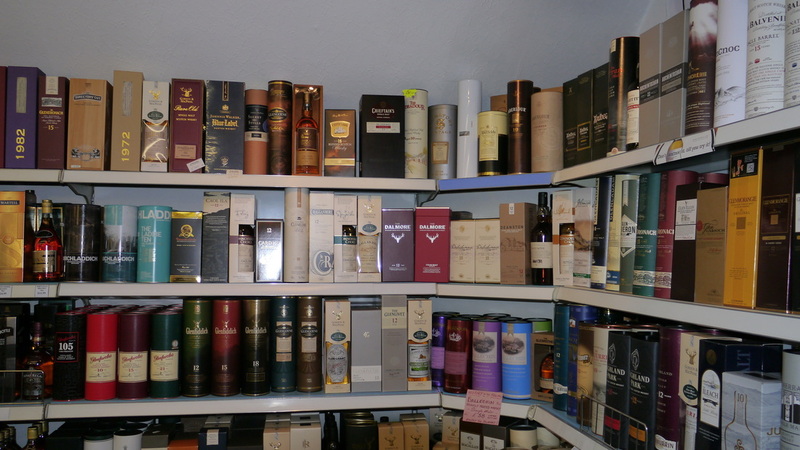 (June 2012) They also stock some rare older whiskies. In between these extremes, expect to find your favourite tipple at an excellent price. No on-line sales in those days, but mail order sales were available by phoning, faxing or e-mailing the shop. 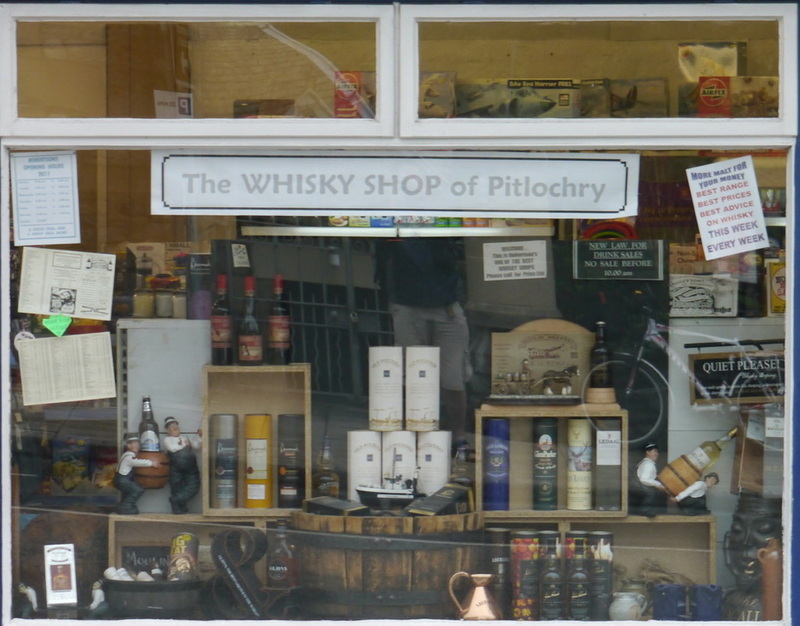 As you will see from the photo above the business was up for sale as Allan Robertson wanted to retire - the shop is now under new management (Ewan McIlwraith) and now has a website. Drumguish still only £17.50. Bike can be attached to railings of park opposite the shop. Escape Route cycle shop is about 250 yards from Robertsons.